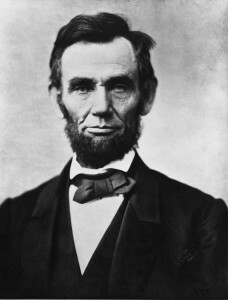 Abraham Lincoln, the sixteenth President of the United States. Last night I finally got the opportunity to visit the cinema and watch Steven Spielberg’s latest historical drama Lincoln which I thoroughly enjoyed. The film focuses on the Lincolns efforts in the last few months of his life to pass the 13th amendment to the Constitution in the House of Representatives outlawing slavery and involuntary servitude.